Two New Series Join Four Returnees for USA Network’s Summer 2014 Schedule! 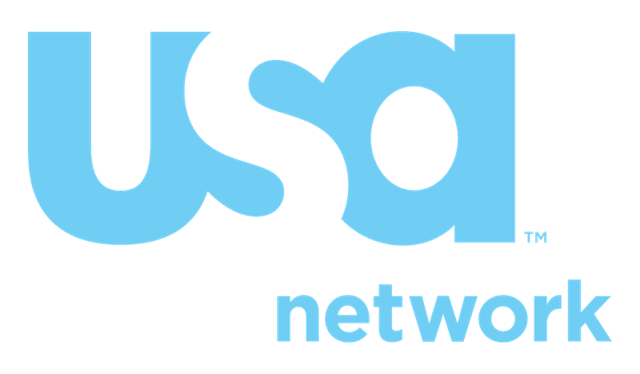 USA Network has announced its Summer 2014 Schedule – a mix of four well-regard returnees – Covert Affairs, Graceland, Royal Pains, Suits – and two new dramas – Rush and Satisfaction. Rush centers on a hard-partying bad boy physician who caters to L.A.’s elite – for a hefty price; Satisfaction explores modern marriage at its midpoint and stars Matt Passmore, fresh off The Glades. 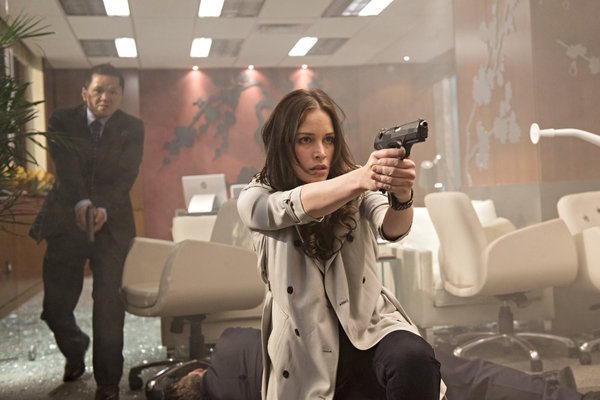 Royal Pains stands as the network’s longest running current series, going into its sixth season; Covert Affairs enters season five; Suits will be in its fourth season and Graceland is a sophomore. The USA Network summer schedule kicks off with Royal Pains on June 10th; Rush and Satisfaction premiere on Thursday, July 17th. For the complete schedule of premieres – and series descriptions – check out the press release after the jump. 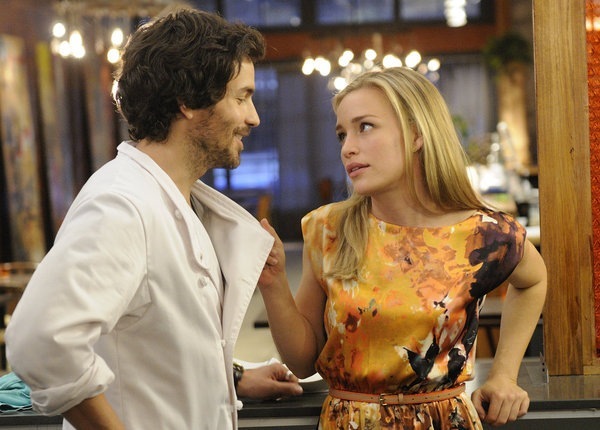 Covert Affairs Returns With Shocking Surprises And Twists! 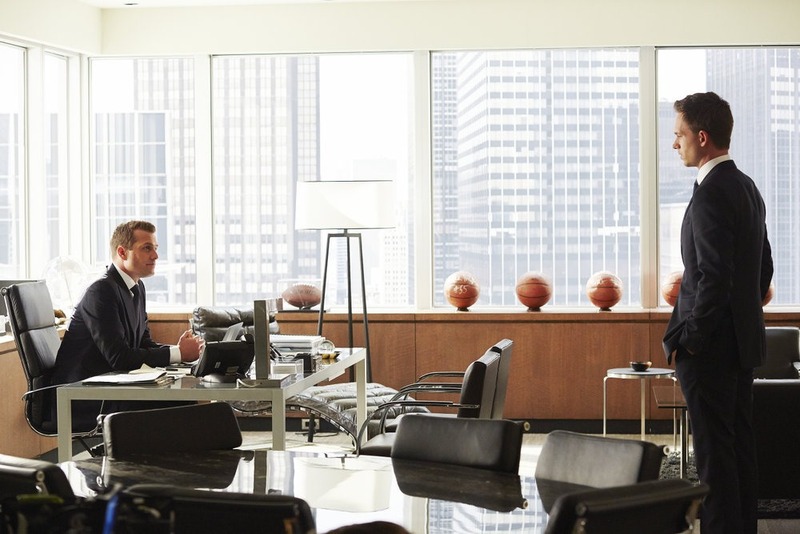 Covert Affairs (USA Network, Tuesdays, 9/8C) returns this evening with a bit of a time jump following Annie Walker’s intriguing conversation with Henry Wilcox – who hasn’t taken his son’s death very well, and ‘the conversation’ with her and Auggie. Then it slides back to the morning after ‘the conversation’ and things go pear shaped. Covert Affairs: Series Creators On Putting Auggie Through The Wringer, Lena and Joan’s Beef, And Making Sure We Know Who’s On The Poster! 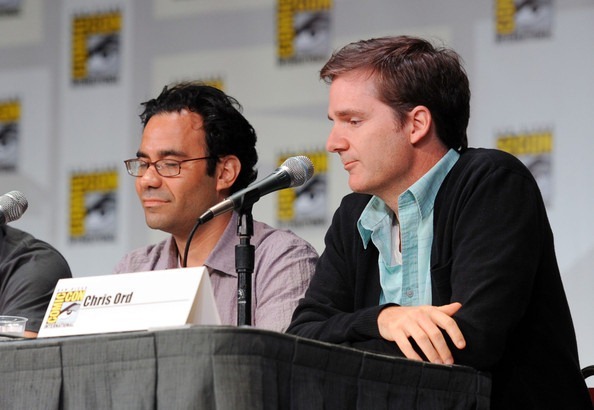 Last week, Matt Corman and Chris Ord, the co-creators of Covert Affairs (USA Network, Tuesdays, 10/9C) took some time to chat with a group of journalists/bloggers about the more serialized third season of their hit series. Topics covered ranged from putting Auggie through the wringer (they’re not done yet), to what’s going on between Joan and Lena, to what Richard Coyle brought to the role of Simon Fisher that got him the role and how Jai’s death set up the overall arc for the whole season. Covert Affairs: BOOM Goes The Dynamite! Before Hang On To Yourself, the third season premiere of Covert Affairs (USA Network, Tuesdays, 10/9C), has even gotten past the teaser, every changes – explosively! Contest – USA Network Summer Prize Pack!! Our friends at USA Network recently returned to the EM Family fold, not that they ever really left. But you all know of my love of USA Network Programming. A lot of my favorite shows are on USA Network. Its the home of Burn Notice, Necessary Roughness, Royal Pains, White Collar and more. Be sure to check out the summer premieres of White Collar and Covert Affairs, Tuesday July 10th, and all of USA Network’s other returning shows. We have an amazing prize pack to give away. The Summer Prize pack is valued at $291! Take a gander at what one lucky winner will get. Covert Affairs: Sisters On Deadly Vacation! In the second season finale of Covert Affairs [USA Network, Tuesdays, 10/9C] Annie’s vacation turns into a study in frustration – and terror – when a last-minute courier assignment goes wrong. Covert Affairs’ New Director of Special Projects Teases The Final Three Episodes of Season Two! 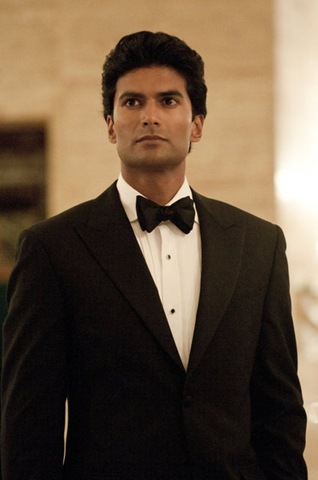 While Sendhil Ramamurthy may be best known for playing Mohinder Suresh on Heroes, his time on Covert Affairs [USA Network, Tuesdays, 10/9C] – as Jai Wilcox – is certainly allowing him to stretch in other directions – and winning him new fans. Last week, I had the opportunity to take part in a conference call Q&A with the charming Mr. Ramamurthy – where he explained why Jai hasn’t been as prominent in the first part of the show’s second season, and teased how that arc was going to pay off over the season’s last three episodes – which begin this week. 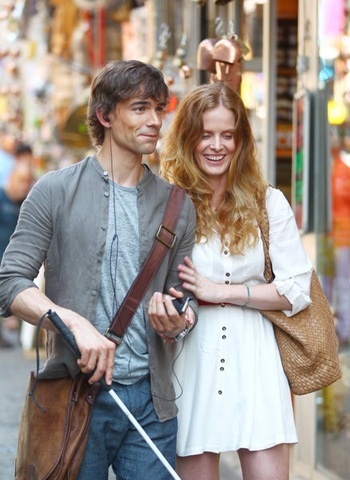 Covert Affairs Returns With A Wake-Up Bomb! Covert Affairs Revelation – How Auggie Was Blinded! Practically since the series debuted, Covert Affairs’ [USA, 10/9C] blind tech wizard, Auggie Anderson, has fascinated the show’s fans. As has been mentioned in past episodes, Auggie wasn’t born blind; he was a soldier who was blinded on a mission in Tikrit, Iraq. This week’s episode, Half A World Away, tells that story. 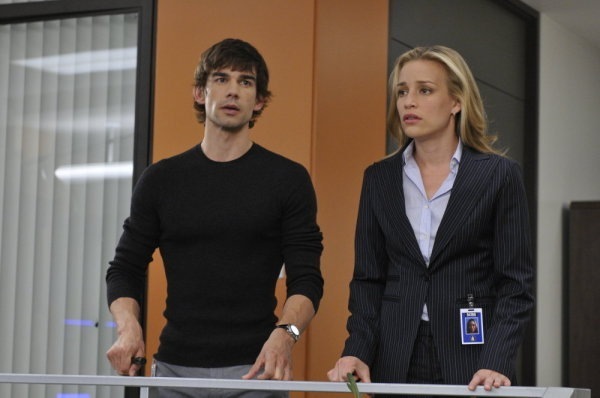 Covert Affairs’ Piper Perabo and Christopher Gorham Tease Show’s Sophomore Season! Covert Affairs [USA Network, Tuesdays, 10/9C] follows the adventures of rookie CIA operative Annie Walker [Piper Perabo] as she tries to balance her personal and professional lives. At work, blind tech whiz Auggie Anderson [Christopher Gorham] has her back. I took part in a teleconference Q&A with Perabo and Gorham on Friday in support of the show’s second season. As these things go, it was pretty enjoyable – both because I’m a fan of the show and because Perabo and Gorham are cheerful, intelligent, articulate and fun to chat with.